LG has teamed up with automotive company Audi to showcase a smartwatch that can control functions of its cars. 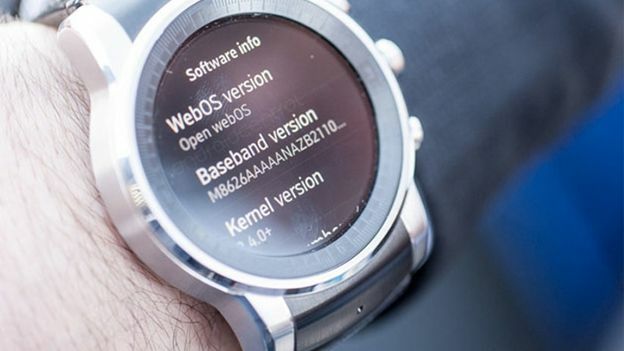 Along with being the first smartwatch aimed at controlling functions of a car, the LG Web OS smartwatch is also so the first wearable – as its name suggests – to run WebOS. Essentially a modified LG G Watch R, the Audi smartwatch adds a stainless stainless steel finish and a leather strap. In addition to working with Audi's own cars, It will also likely work with Web OS phones and televisions, though LG hasn't confirmed whether or not this will be the case. LG announced that it was purchasing the Web OS operating system from HP at Mobile World Congress 2013. Aside from some televisions running the software, little else has been heard from LG about its plans for the operating system. Little else is known about the smartwatch. We fully expect more details will become available at Mobile World Congress next month. Of course, in the meantime we can ponder what this means for Google's own smartwatch OS Android Wear. Is this the first sign of a move away from Android dominance of non-Apple and Microsoft devices?